The Mk. II went into service at the end of 1940. It differed primarily in the adoption of the Rolls Royce Merlin XII of 1,175 hp. Two main variants were produced, the Mk.IIa with eight machine guns and the Mk.IIb with four machine guns and two 20 mm cannons. The Mk.II's were definitely a transitional aircraft to more powerful forms. The 1,175 h.p. Merlin XII was adopted as the standard power plant in the Type 329 Spitfire II with a Rotol three-blade propeller and 73 lb. of amour protection but this variant was otherwise similar to the Spitfire I. Deliveries commenced in 1940 the Spitfire II having followed the Mark I on the production lines and becoming the first major production variant to be delivered from Castle Bromwich. In 1941 the Merlin 45 series of two-stage single-speed engines was adopted and the Type 349 Spitfire V so powered followed the Mark II into production and service. This shot of a Mk II Spitfire shows the famous elliptical wing shape to great effect. The Mk IIa Spitfire of the Battle of Britain Memorial Flight. This, the World's oldest flying Spitfire, entered service on 15 August 1940. 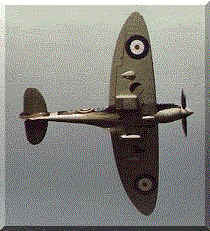 The Spitfire IIB was a modification of the Spitfire I with a more powerful engine and factory-installed armour plate. 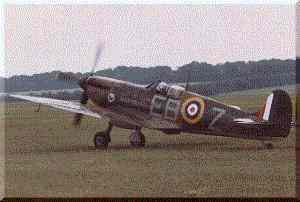 Some early Mk.IIs participated in the Battle of Britain but this version was used mainly in the initial offensive sweeps over Europe until superseded by the Mk.V. It is finished in its original presentation markings.